This program is designed for people who have never dove or certified and want to live this wonderful experience first. The program is divided into two parts. Part Training: Consists of a theory in which the student will know the equipment using a theory to be held in the Bay Granate, then we go to begin our adventure. From the edge of the beach will instruction 3 very simple exercises with mask, regulator and swim to learn to breathe through the mouth, the first dive is done from the beach to a maximum depth of 7 meters. A break, a refreshment like sandwich, juice, cookies. 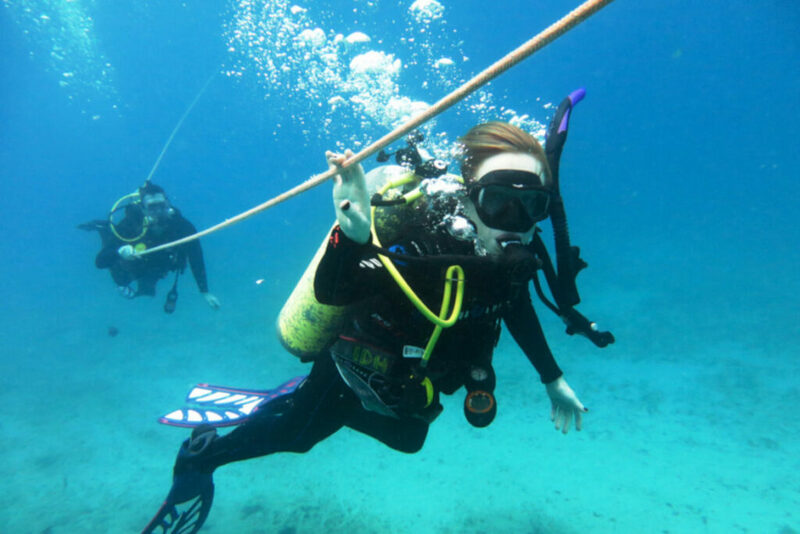 Part Two: Diving from the boat to a maximum depth of 12 meters.